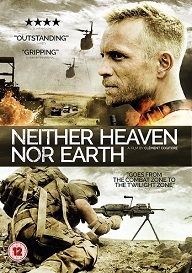 Neither Heaven Nor Earth is out on DVD on July 31st and to celebrate we have a great competition for you and 3 copies of the DVD to give away. Afghanistan 2014. Approaching the withdrawal of troops, Captain Antarès Bonassieu and his squad are assigned to monitor a remote valley of Wakhan, Afghanistan, on the border of Pakistan.